Tom Wilson vs. Ian Cole : FIGHT! Tom Wilson dropped the gloves against Ian Cole in the 3rd period of tonight’s game versus the Colorado Avalanche. It was his fifth fight of the season, and an occurrence that has decreased as Wilson’s scoring and thus value on the ice has increased. 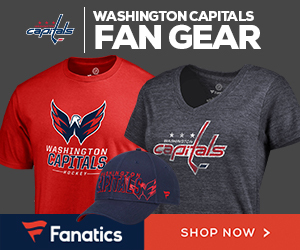 Wilson stepped in to defend his teammate Evgeny Kuznetsov who was hit late by Ian Cole. Cole was assessed a five-minute major for interference before also receiving a five minute fighting penalty. Wilson received the instigator, fighting major, and a ten minute misconduct. Wilson demolished Cole in the fight, and just kept on throwing punches. We suspect that Ian Cole’s head feels like it’s still being punched by Tom Wilson right about now. It was also Cole’s fifth fight of the season, so we’re not sure why he’s so damn bad at it. Read what Kuznetsov had to say about Wilson stepping up after his overtime breakawqy winner. Kuznetsov on Ian Cole's hit: "I don’t know why he decided to make that hit. Maybe he was so mad he was playing in the D-zone all game. When you get tired, you get frustrated a little bit."